Walt Whitman's poetry, especially his Civil War poetry, attracted settings by a wide variety of modern composers in both English- and German-speaking countries. 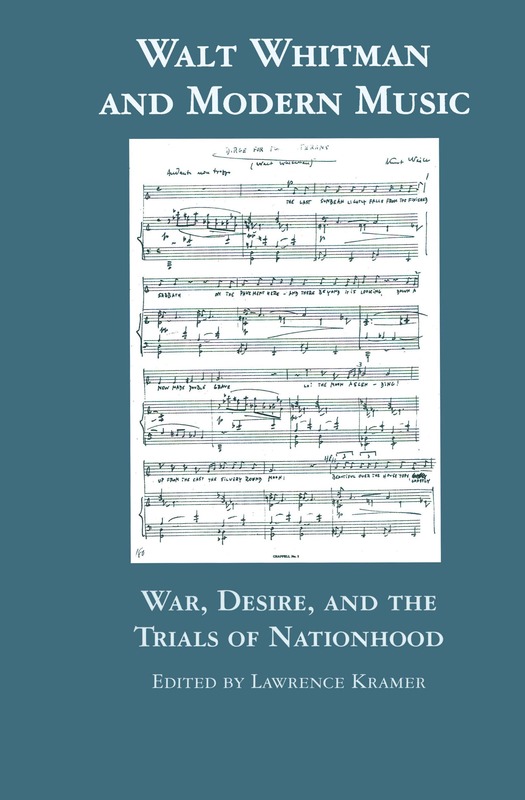 The essays in this volume trace the transformation of Whitman's nineteenth-century texts into vehicles for confronting twentieth-century problems-aesthetic, social, and political. The contributors pay careful attention to music and poetry alike in examining how the Whitman settings become exemplary means of dealing with both the tragic and utopian faces of modernism. The book is accompanied by a CD recording by Joan Heller and Thomas Stumpf of complete Whitman cycles composed by Kurt Weill, George Crumb, and Lawrence Kramer, and the first recording of four Whitman songs composed in the 1920s by Marc Blitzstein. "Red War Is My Song"
"No Armpits, Please, We're British"
The Divided Experience in Paul Hindemith's When Lilacs Last in the Dooryard Bloom'd: A Requiem "For Those We Love"
Contemplating "When Lilacs Last in the Dooryard Bloom'd"